Former Finance Minister of Pakistan, Shahid Javed Burki had written a paper for United States Institute of Peace. 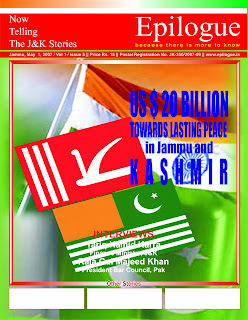 The study suggested an investment of US Dollar 20 billion for infrastructure development on both sides of J&K and argued that subsequent stakes in economy will overrun politics to pave way for Kashmir becoming conduit of peace between India and Pakistan. Our analysis of this research endorsed the argument but with an addendum: emphasis on economic development is good but political aspiration can’t be overlooked. 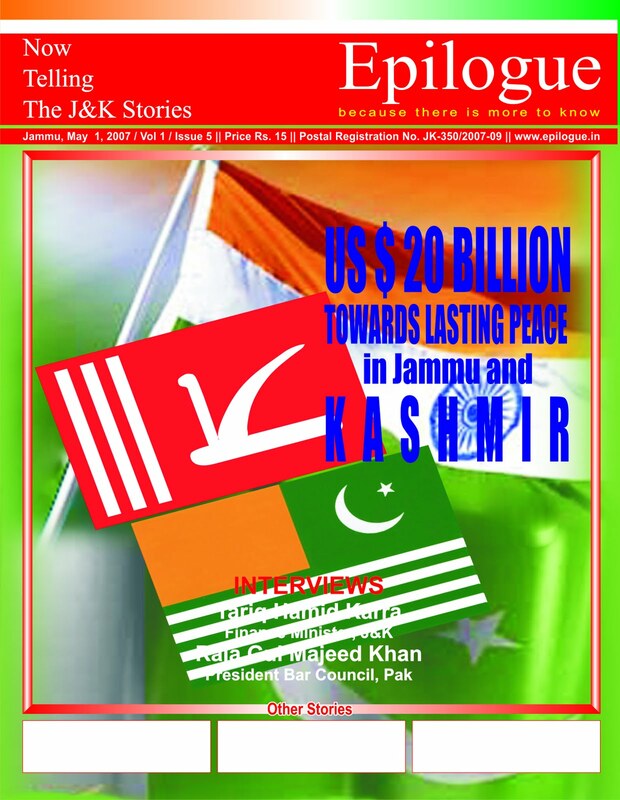 This issue also carried an interview with J&K Finance Minister and President of PaK Bar Association.